Rock Guard – The Reel Dr – Your Western Canada Warranty Center and Parts Supplier! 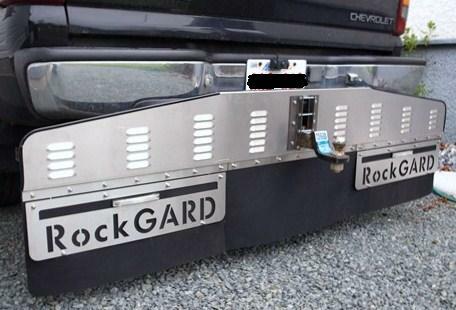 The Reel Doctor wants to help you protect and enjoy your fishing investments so we are now a distributor for Rock Gard. This shining beauty is easily mounted and removed as it comes off with the hitch. Special new feature is the vented panel system to redirect air flow down the back side of the mud flap to help keep the rubber from lifting off the road. Regular $489.00 now on sale for $429.95 CAD.